ANAHEIM, CA - (August 13, 2015) - Summertime is mosquito season, and the City of Anaheim is reminding residents of precautions to avoid mosquito bites and mosquito breeding grounds, courtesy of the Orange County Mosquito and Vector Control District. Mosquitos can carry West Nile Virus, and insects with the virus have been detected in Anaheim. Mosquitos can transmit West Nile Virus to humans via a bite. Most people who contract West Nile Virus (about 80%) show no symptoms, while some infections produce mild flu-like symptoms. Prevention includes wearing lose fitting and light colored clothing, applying DEET- or Picaridin-based mosquito repellent, or Lemon Oil of Eucalyptus, dumping or draining standing water, repairing window and door screens and avoiding time outdoors at dawn or dusk. The City works closely with Vector Control to monitor conditions. 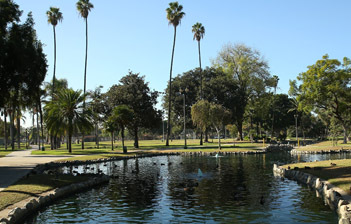 Today, Vector Control reported finding infected mosquitos at Pearson Park in downtown Anaheim. Vector Control will treat grass at Pearson Park with mosquito repellant and will have a booth at Pearson Park Amphitheatre for this weekend’s events to offer mosquito repellent and to share information on how to avoid mosquito bites. For more information on the Orange County Mosquito and Vector Control District, please visit www.ocvcd.org.